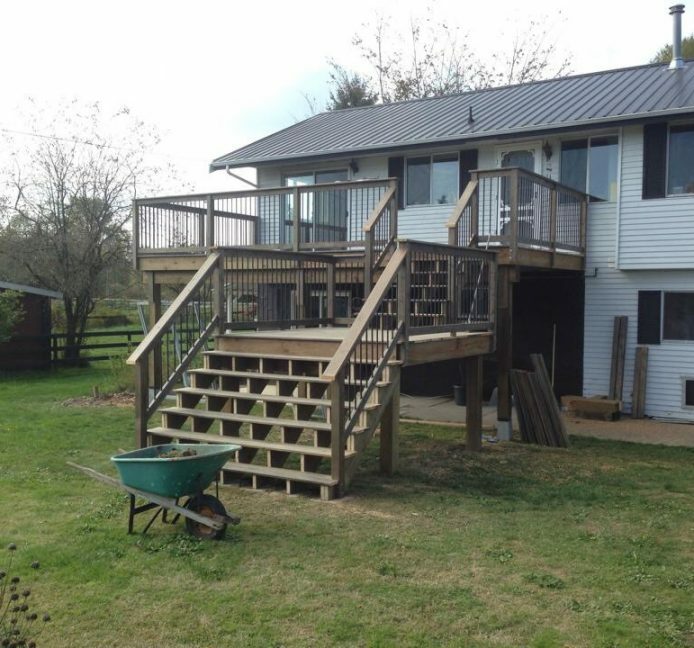 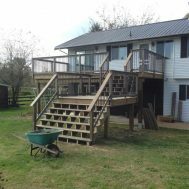 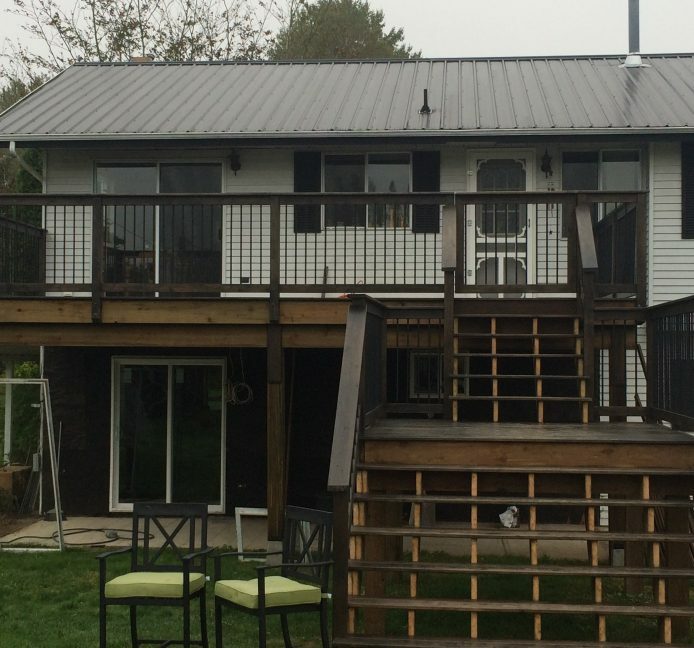 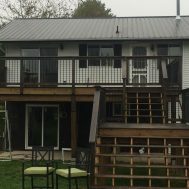 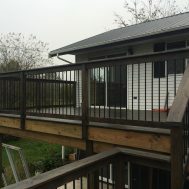 This patio deck was custom built. 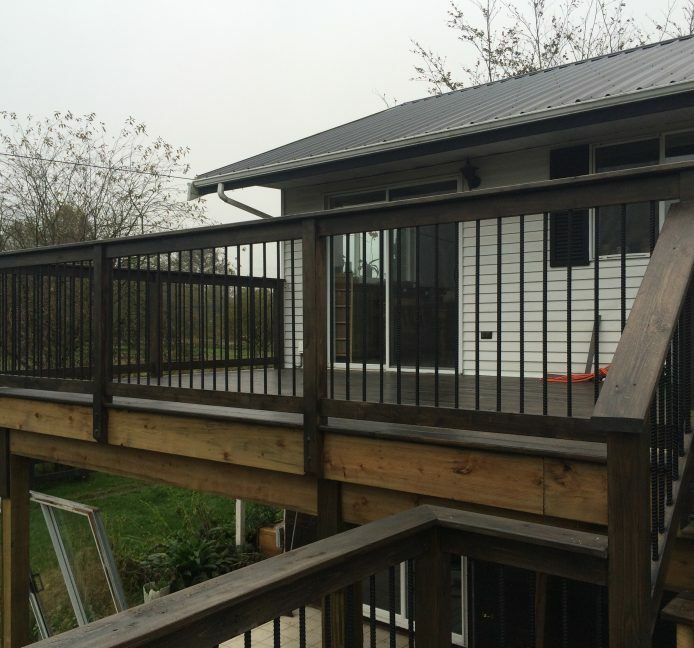 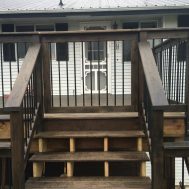 The decking used was red ceder all stained by owner and the railing was made of red ceder and rebar. 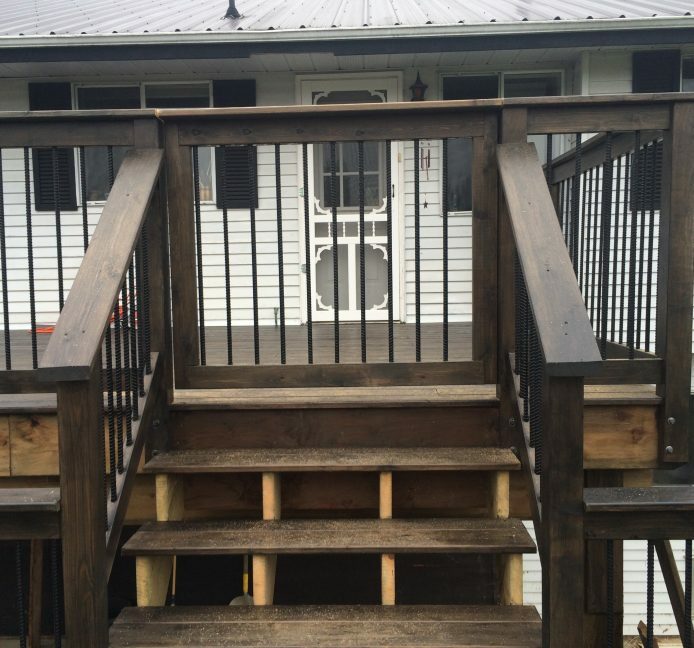 The rebar was painted black and then installed.